The winners of the House Points Prize this term are Burnbanks. Well done to them! The prize will be outside games and some Easter treats on Friday between 11am and 12am. Children who are in Burnbanks are allowed to come to school in their own clothes (no football clothes please). Please ensure that they are dressed to play outside. Any children who have dietary requirements will be accommodated with appropriate alternatives for treats. One of the popular Golden Time activities for P1-3 is Junk Modelling. Unfortunately we are running rather low in junk so instead of putting your junk in the recycling could we please have it? It is better to have things that the children can cut and paint or glue can stick to so no hard plastic bottles /boxes please. Any junk brought in should be given to the P7 children in the Yellow Unit. The afternoon nursery children will join the morning children for their party and will not come in the afternoon as previously stated in the recent post. A reminder of the Christmas Parties this week. Children in P2/3 and P4/5 will join the party for their year group. Food donations will be greatly appreciated (Party food will be provided for nursery using snack money). Party food should be shop bought. We cannot accept home baking. Party clothes can be worn for coming to school. The winning house this term is Souterhead. The children in the winning house have been informed that the House Points Prize is on Monday afternoon. There will be a pyjama party, Christmas movie and snacks. Children in Souterhead House are allowed to come to school in their pj’s. Any children with dietry requirements will be catered for. Choir at Christmas Light Switch On Concert. 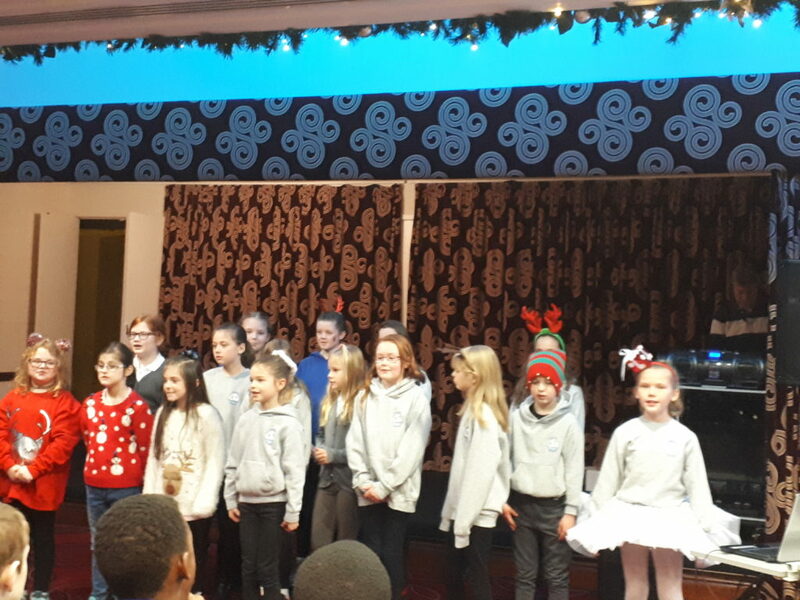 The choir, consisting of children from P4-P7, sang at the Community Christmas Light Switch On Concert on Sunday 9th December. They were fantastic!